If you are a homeschool Mama I feel this applies even more in our journey of Motherhood. 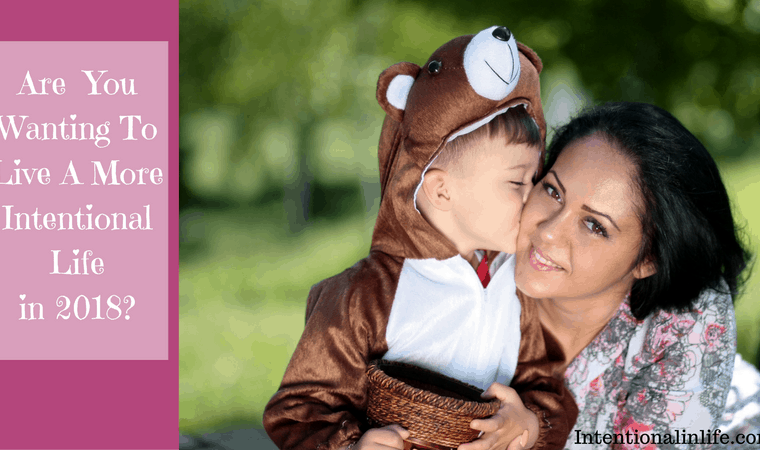 We are with our kids all day long, every day, which causes one to assume that we are connecting with our kids all the time. 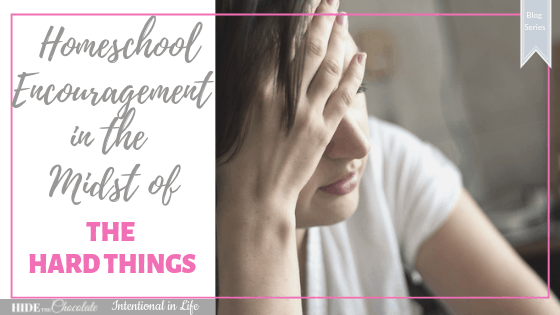 Quite the opposite is the case, there are so many reasons homeschool parents can get distracted from the primary focus. Instead of cultivating connections it is natural to focus on productivity. Or if you get burned out, just tuning out altogether, ignoring the heavy responsibility ahead. Or getting hyper-focused on raising the absolute smartest kids, only to lose their hearts and character in the process. But if those distractions so easily become our main focus, why are we even Homeschooling? I might speak for myself here but I didn’t decide to Homeschool to raise the smartest kids on our block. If that happens, of course, I’ll be thrilled! However, I think of that as more of a perk, not a necessity. 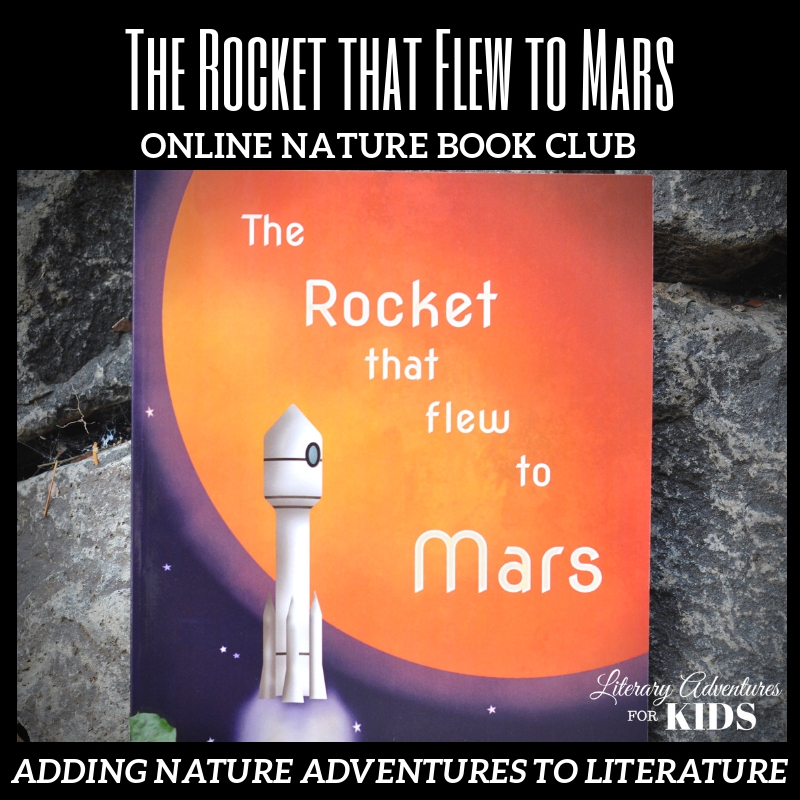 Primarily I want to cultivate a family environment that includes working, playing, reading, eating and learning together. One of the reasons I homeschool is simply because I want to hang out with my kids every day, even when they drive me crazy. 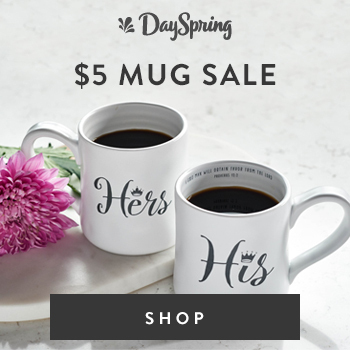 Family relationships will never be perfect but I believe that Homeschool families have a rare opportunity to raise families who have strong connections between the parents and their kids. 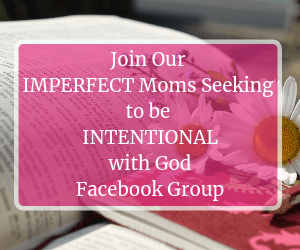 If we aren’t intentional in cultivating these connections, we are missing out on this opportunity so great, I believe it can make or break the most well-intentioned homeschool families. Growing up in a huge homeschool community gave me the chance to witness many of these families finales to their homeschool years. 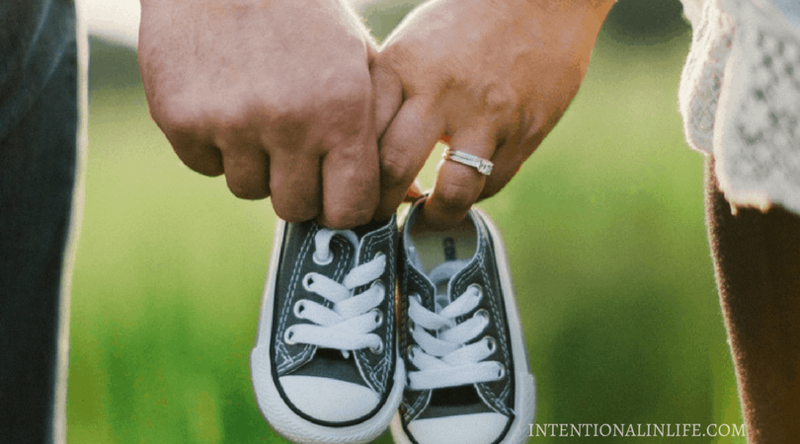 The families who had great success were not just checking boxes, that IS important too, they were intentionally creating an atmosphere that brought connection in their relationships with one another. With so many demands between teaching, feeding, cleaning & driving our kids between activities; the pull towards productivity is strong and away from our children, stronger. I am huge on education and want my kids to be equipped to reach the fullest potential and plan that God has for them! However, without an emotional foundation that is solid, even the most educated person will struggle through life. 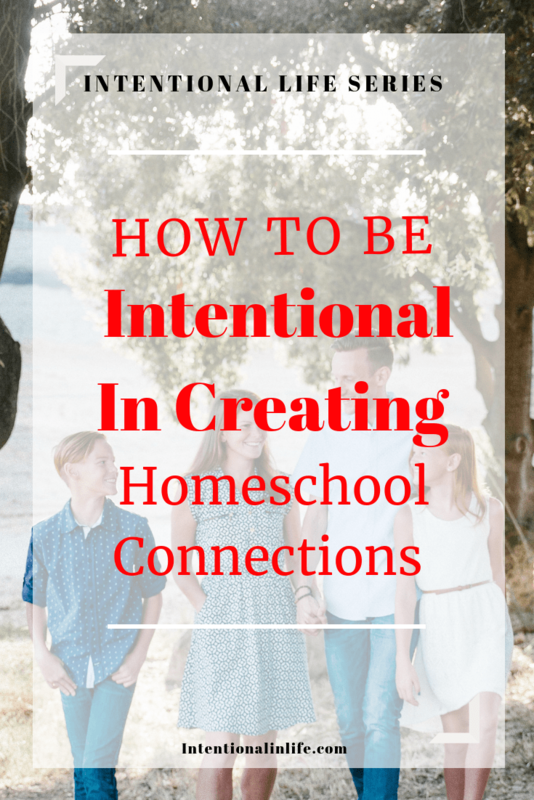 How do you intentionally create connections throughout your homeschool day? This is a time when I set aside all of the subjects we study together and we work together. It starts our school day off as a family before we break into individual subjects, which helps us to work as a team throughout the day. Prayer and time to study God’s word are important to our homeschool, so we start morning time off with studying God’s word every day. The best part of this time is that I feel relaxed about whatever I have set out to accomplish for morning time. If we don’t get to everything, it’s no big deal, we get to it the next day. If we are having a really great conversation about Astronomy, we just enjoy the conversation we are already having instead of rushing on to the next thing to check off our list. I love starting our school day off with these conversations that build connections. This is difficult especially if you have a large family yet especially important having a large family. As the oldest of six homeschooled kids, I cannot emphasize enough how much it meant to me when my Mom took even 10 minutes a day just for me, to check in and see how I was doing. Sure she gave me a ton of her time, but that intentional personal attention always helped me to know she cared not just for the whole family but specifically for me too. I imagine it meant even more to my younger siblings! When I start thinking I don’t have time to sit down with each of my kids one on one, I remember how special that time was when I was a homeschooled kid. This year I’ve made it my goal to give each of my kids at least 15 uninterrupted minutes a day and I have seen them flourish when I give them that time. Sure a lot of subjects we work on together and being together as a family are important too, but I also want to capture each of my children’s hearts and know their individual personality. Each of their personality craves a different kind of attention from me. For some of my kids, this means I take 15 minutes to listen to them read to me, get out a special craft, sit with them while they do handwriting, read their history out loud to them even if they can read to themselves or just be there to build legos with them. It doesn’t have to be school work, just making time for something they enjoy doing or need extra help with will mean everything to your children. As they become independent, it is easy to let them go on autopilot, but you will never regret taking the time to meet their individual needs each day. Don’t shy away from letting your Homeschool have the cozy feelings of home. Anything that helps you feel cozy will more than likely help your kids feel a warmth and connection as well! Light a candle for morning time, climb under blankets for History, whip up a batch of brownies to enjoy while you read together, turn on classical music for some relaxation or loud music for a crazy dance party, in the Springtime we even bring schoolwork outside if the weather is right. Breaking those “rules” of what schools is, is likely where you will find the most intentional ways you will connect with your kids! Everyone takes a deep breath and can just be themselves when you have that feeling of home in your homeschool. Create an art project, go on that nature walk, take an entire day off for a field trip(schools do that too! ), watch a documentary with a big bowl of popcorn, have poetry tea time, head to a museum. Be crazy and bring notepads with colored pencils, when your kids see something interesting, STOP and let them sketch and write notes right there in the museum! Be that family. Embarrassing sometimes but deep down your kids are probably having fun. One school year we read the book The Wheel On The School, a fun story about a little dutch village who work together to bring storks back to their village. It just so happens we live in an area filled with Dutch heritage. Our nearby town has a Dutch festival every year called Tulip Time! We had gone every year before we read this book, but this time we stopped and treated ourselves to some of the Dutch treats we read about in the book, Fat Balls! Sounds awful right? Well not only were they a delicious Dutch pastry, but that memory has always put that book in a special place in our hearts. Now we get Fat Balls every year, it’s something my kids look forward to and we can anticipate as May draws closer. 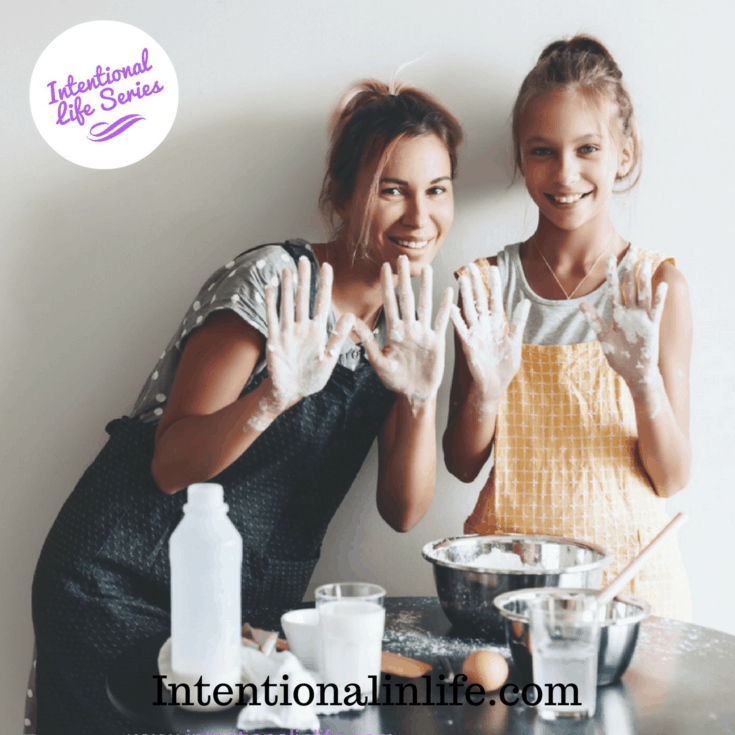 Do the things that will add joy to your families homeschool. It’s hard sometimes, maybe you don’t feel like you have the time or the joy. This is why my next point is so important! Truthfully this is the hardest for me. Lots of days I don’t feel like smiling especially in the winter when the sunshine is lacking and the Winter Blues are in full force. If we don’t smile our kids will never feel close to us. I still look forward to seeing my Mom’s smile when I return “home” to my second home where they live. When times were tough and the school days were hard, usually my Mom still had a smile for us, that was all we needed to get through the day. My personality is the direct opposite of my Mom’s, I am not very good at faking it when I don’t feel it. When I get to that point I do whatever it takes to wake up with a smile each morning. Coffee, time with God, chocolate, a bit of alone time in the afternoon and making a point of making those memories all help me get a smile on my face! Sometimes even teasing my kids a bit will put a smile on both of our faces. 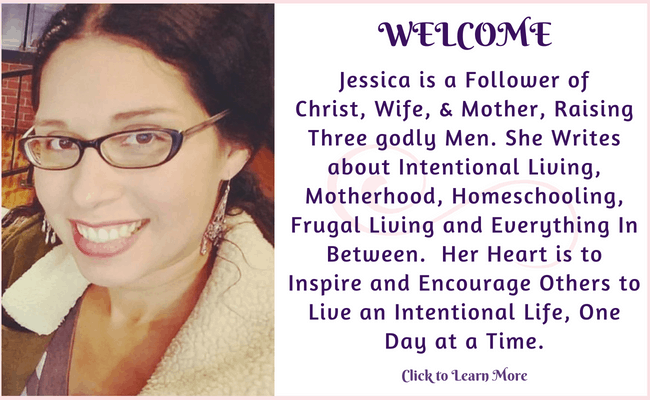 The greatest success of a homeschool family crossing that finish line, has so much to do with whether or not kids hearts feel open to their parents. You have a lifetime of connection with your children to look towards! 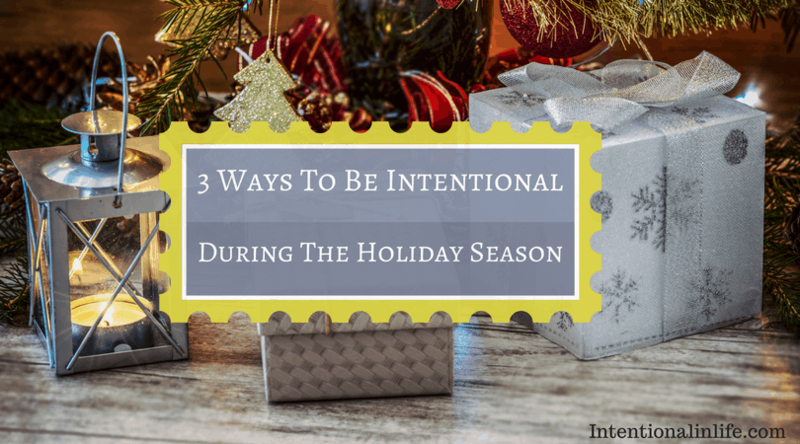 Why not start intentionally getting to know them now? 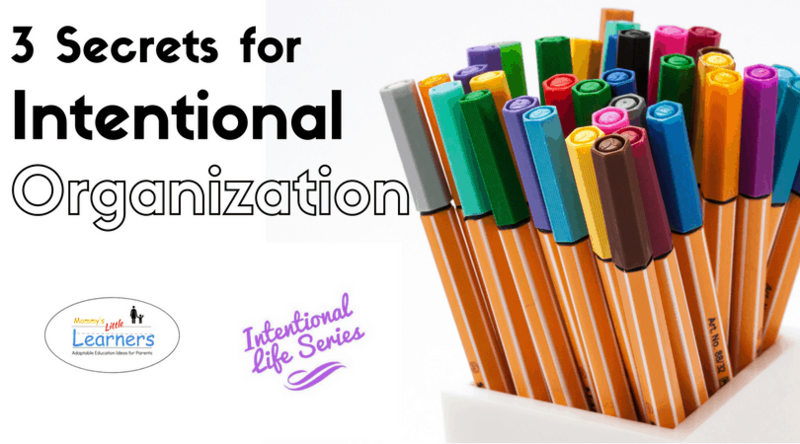 So how do you intentionally create homeschool connection in your home? What a beautiful example of what HOMEschooling can be! I absolutely love everything about this. Connections are priceless. Thank you for sharing this with us! I loved everything about this post. In the busyness of the day, we get things accomplished but sometimes things are lost. That’s what I want to avoid. I give each child specific time each day….even if they are grumpy. By the time it is over, I can see a smile or at least have gotten some hugs from them! Allowing home to invade school time definitely makes a difference. The kids love it as do I. I truly want us to love, live, learn and laugh in our home. Angel sounds like you are on the right track! If you can get a smile out of a grumpy kid, that is pretty big success! It’s so nice when someone turns my bad day around and it’s easy to forget that we are the ones who can give that to our kids! 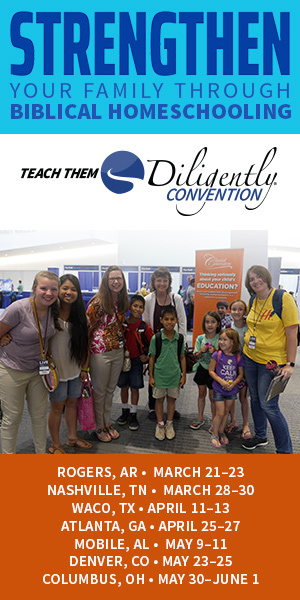 What a beautiful reminder of how to connect in homeschool in the big and small ways. As a mom of 5, I appreciate the point that the small connections can make a really big difference ! You’ve encouraged my heart. Thank you for sharing ? Lee I am so glad to hear that! Those small connections will add up to a lifetime of fond memories of homeschooling. I always think, what can I do today to make my kids want to homeschool their own kids. Not something I can follow through on every day, but as much as possible!